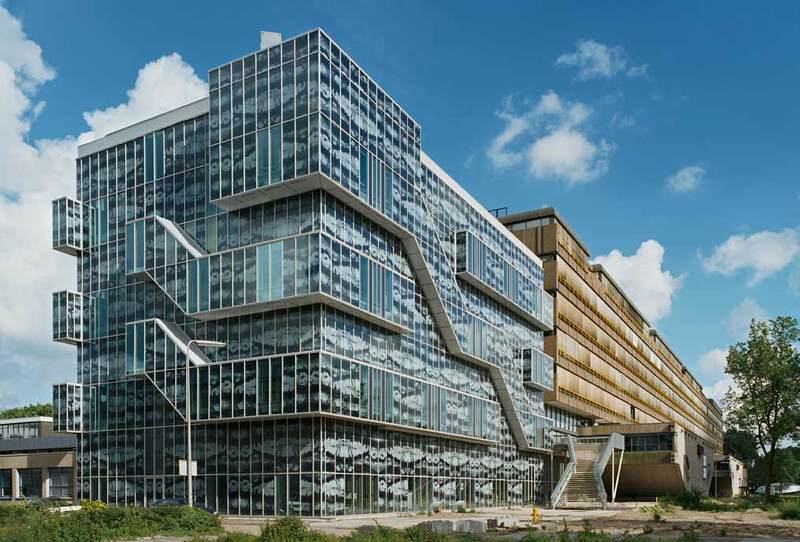 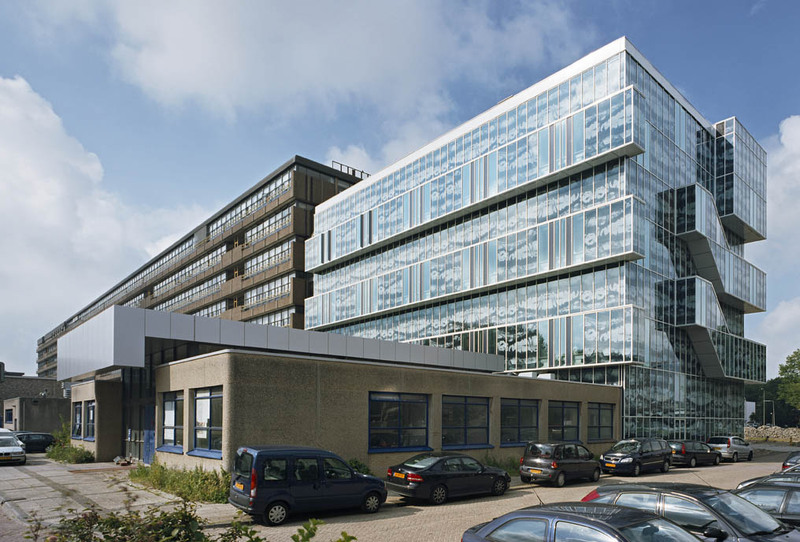 Delft University of Technology’s new Department of Geotechnology, part of the school’s faculty of Civil Engineering and Geosciences (CiTG), is housed in a building at one end of the CiTG complex, which was designed by Van den Broek en Bakema. 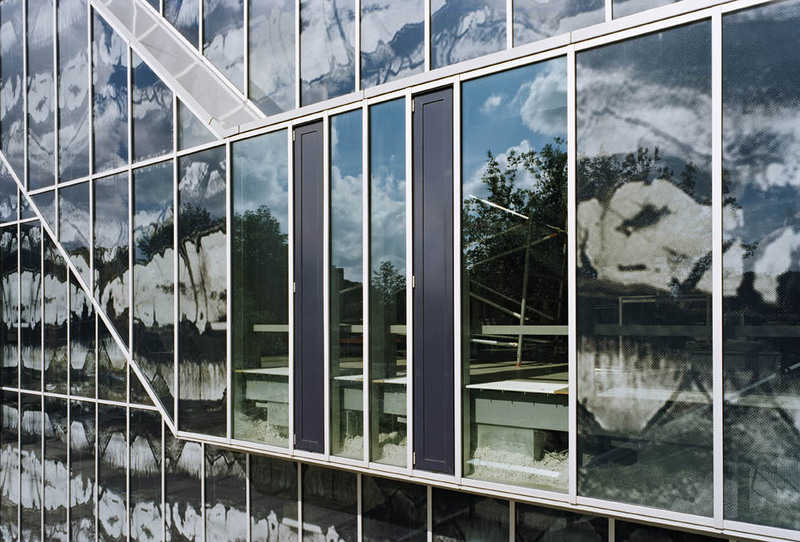 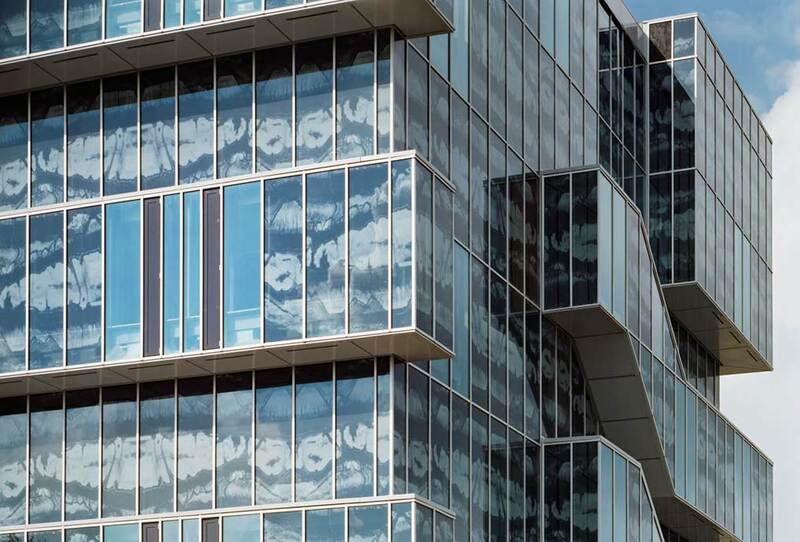 The façade was stripped and given a new glass curtain wall imprinted with a pattern of stones sawed in half. 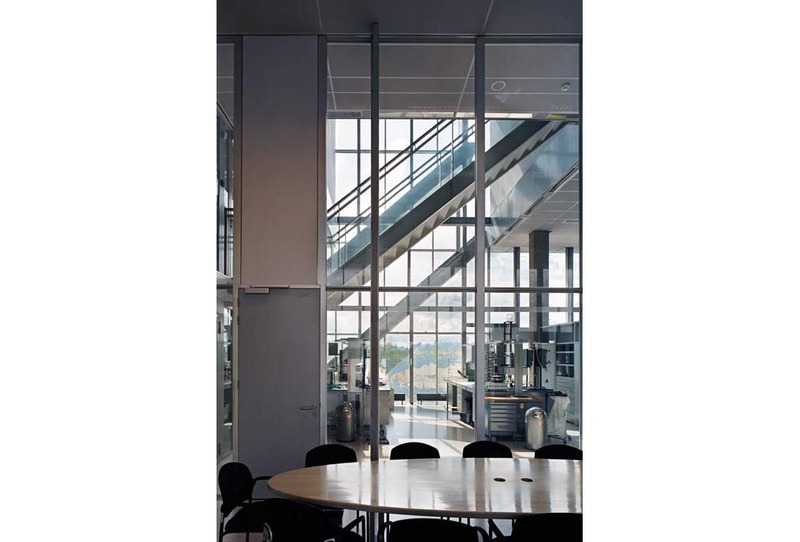 Existing window cleaners’ balconies were converted into bay windows equipped with built-in air conditioners. 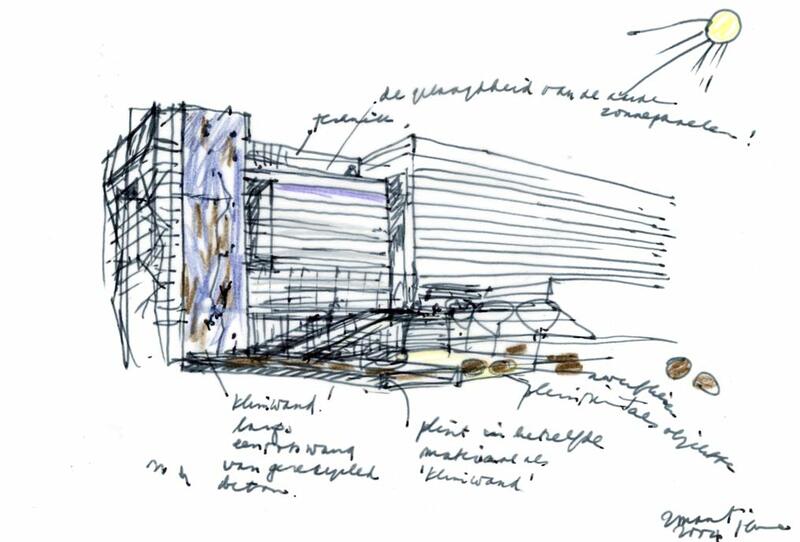 Slanting lines in the façade follow the spatial organization of the interior, a landscape of laboratories, workstations and study areas. 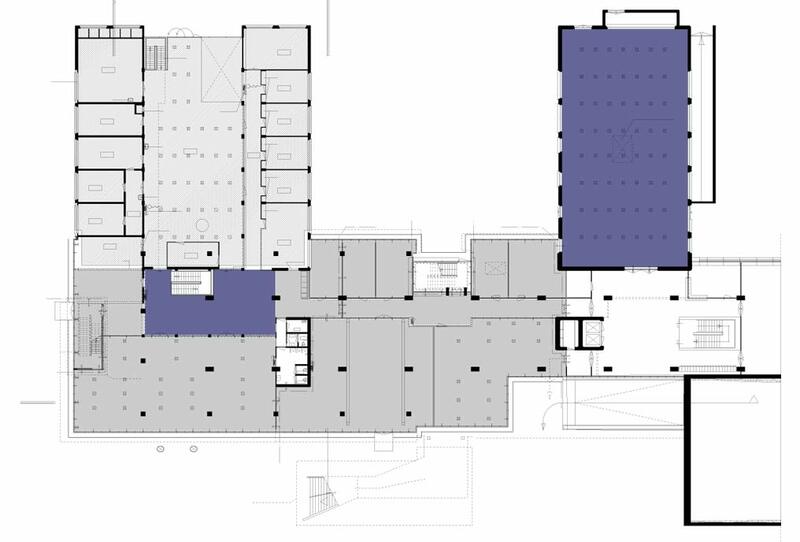 Voids were added to connect existing floors and to represent transparency in the education provided here. 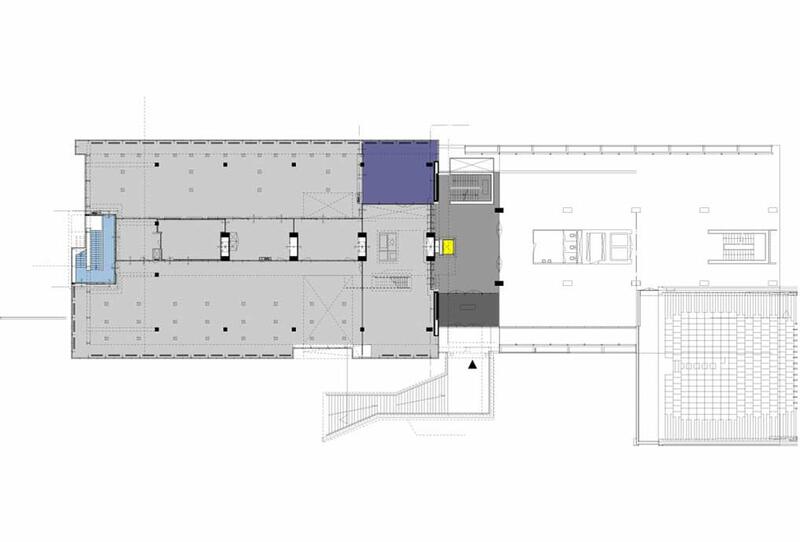 Floors were enlarged by adding a new stairwell at one end of the building. 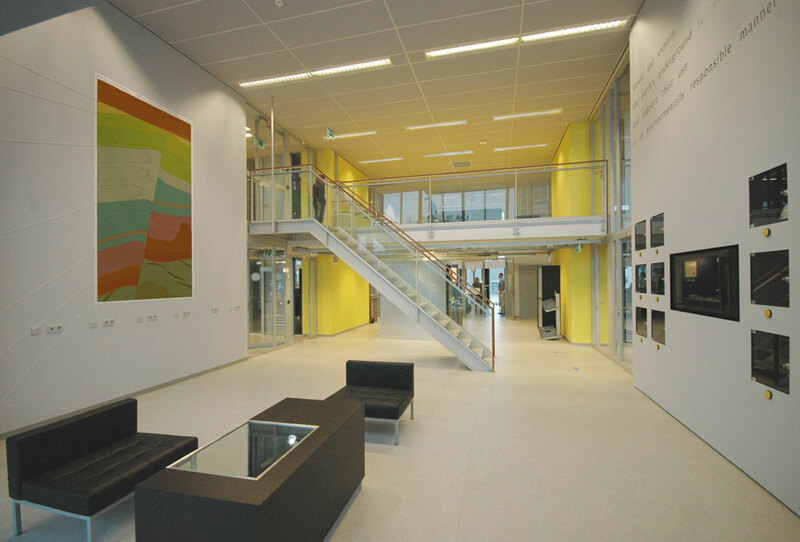 Materials and colours derived from the original building were applied in a more ‘virtual’ manner.